On the inside Albert is just another guy who loves Salsa, he loves the music and he loves the dance. Because of his love for Salsa and his Puerto Rican heritage he now dedicates his life to promoting Salsa and Latin Music and Dance all around the world. And he is good at it!! 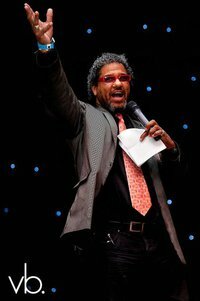 Albert Torres has organised over 350 Salsa congresses internationally in all kinds of exotic places, including, Dubai, The United Arab Emirates, Japan, Hong Kong, Brazil, Bulgaria, Romania, China, Colombia, Venezuela, Spain, Mexico, Peru, Holland, Hamburg, Italy, Switzerland, Sweden, France, Ecuador, New Zealand, Australia, Puerto Rico, and in numerous cities across America. These congresses happen annually and are attended by thousands of people from the entire globe. Albert Torres came to Cape Town thanks to the careful planning of our friends Theo (TeddyBear) Mseka and Marcel Stevens. He came with two objectives. One was to visit the Salsa Community of Cape Town and to give a talk on the History of Salsa which happened on the 14th October 2012. His second objective was to experience Cape Town, South Africa in order to plan the Cape Town Salsa Congress 2013…! Albert must have liked what he saw for the dates for the Cape Town Salsa Congress 2013 are 31 October to 3rd November 2013!!! It already has 2 international acts confirmed and is promising to be an amazing few days! 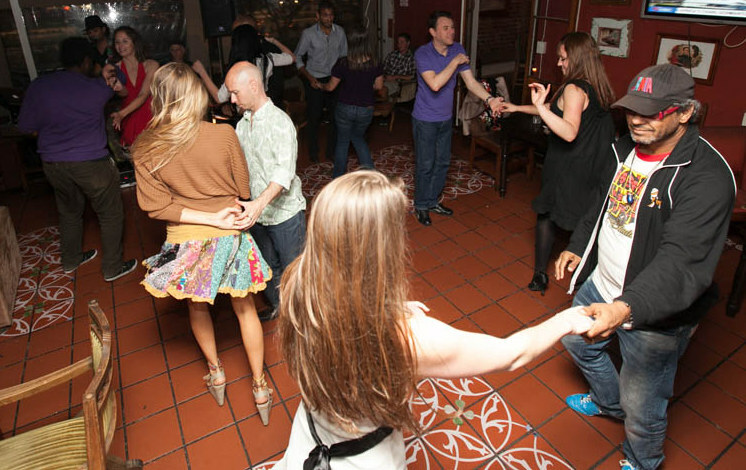 On Wednesday 10 October 2012, Albert Torres visited Just Dancing Salsa at Barbosa Social Café! The evening started with our usual incredibly fun Improvers and Intermediate classes. With a great turn out, a photographer, and a bar two steps away, the evening rapidly turned into an absolute party. 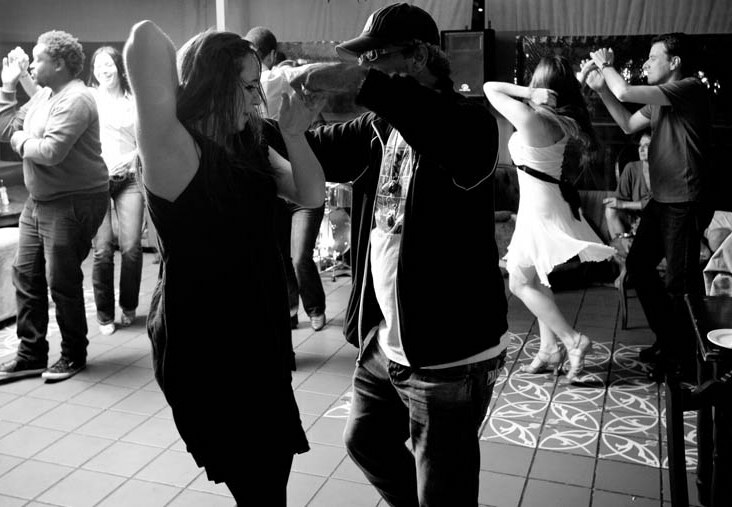 After the classes, the ladies put on some pretty dress and we all joined the awesome Wesley Solomon (from Tren Latino) and the incredibly talented Keith Coxon for some live latin and salsa beats on the deck. Here Albert was having his dinner, but he soon joined in and did his thing on the dance floor along with everyone else. With fun spins and foot leads, he lead the salseras around the floor and shook hands with all the salseros. In this way we all met the man who was under the cap and behind the dark glasses, the man who has put into effect the Cape Town Salsa Congress 2013!!! TONIGHT AT 20h30 AT BARBOSA is the HAVANA 1950s SALSA PARTY!!! 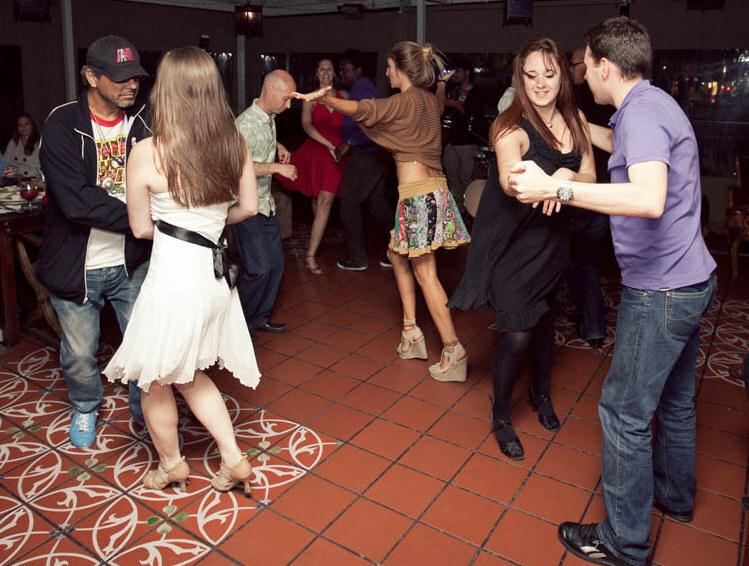 Beginners class at 20h30, SALSA PARTY at 21h30 (SALSA, BACHATA & CHA CHA) !!! SALSA DJ and LIVE LATIN BAND (the reknowned Wesley Solomon & Keith Coxon) !!! IT’S GOING TO BE AMAZING!!!! VIVA LA SALSA!!! Saturday 13 October… Havana 1950s… It’s going to be AWESOME! 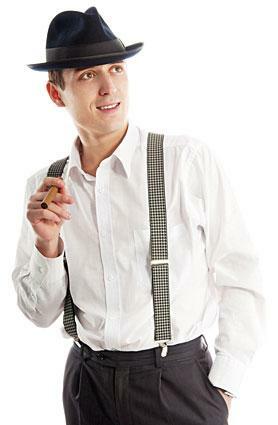 What to wear for the 1950s Havana Salsa Party! See you all on the 13th October, if not before! !